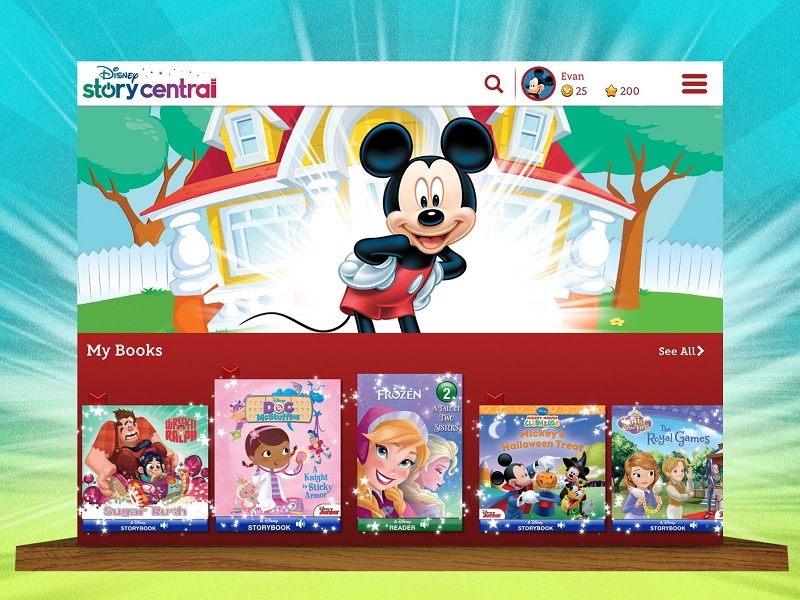 With eReading and tablet ownership on the rise, Disney is banking on its Disney Story Central app to make a mark in the ePublishing space. If anyone can attest to the power of a good story, it’s Disney. Having produced iconic filmed entertainment for close to 100 years, the House of Mouse is also one of the most prolific publishers in the kids space—its publishing arm sells more than 700 million units of product worldwide each year, including eBooks, apps, magazines and digital comics. This summer, Disney Publishing Worldwide, which falls under the company’s Consumer Products division, penned a new chapter in its eBook business. It brought to life Disney Story Central, a brand-new app that lets kids read their favorite Disney stories as eBooks in personalized digital libraries. The app is free to download, with in-app purchases available only to adults. Story Central is a sizable literary undertaking for Disney. It’s the largest collection of Disney’s digital books to be housed on one app. And it’s also a sign of the times. According to a 2014 Cooney Center study, 62% of kids ages two to 10 in the US have an eReader or a tablet device at home. As more kids take up reading on these devices, there are more opportunities—and demand—for companies to roll out titles in the kids eBook space. Statistics like this are not lost on Disney. Ramping up its ePublishing presence, the company launched Story Central with more than 100 read-along eBooks featuring popular Disney properties like Frozen, Doc McStuffins, Disney Princess and Cars. In step with today’s generation of digital-first kids, Disney Publishing released Story Central via an iPad app and a tablet-optimized website. It’s a move that puts Disney Publishing more in line with consumer desires. In the US, ownership of tablets in families with kids ages two to 12 has increased from 50% to 59% in 2014, according to an NPD Group study. And more than half of the families reported that their kids were using the devices more often. 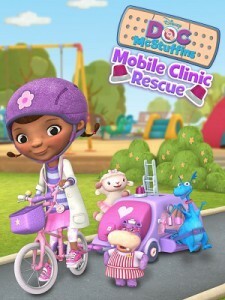 Geared to kids ages three to six, the app is the latest in digital storytelling. It includes customizable bookshelves for each family member. Kids can adorn their digital shelves with their preferred Disney character or property. They can also browse the library by favorite character, not just title. The idea is to get readers, especially reluctant ones, engaged. “So if you’re Sally and you’re four years old and reading a Frozen story, or if you’re Johnny and six years old and reading a Frozen story, that same story can be personalized to you in new and interesting ways,” says Underkoffler. Story Central also provides personalized reading recommendations, based on reading level instead of genre. So if a child reads a Cars book, the next recommendation won’t necessarily be another Lightning McQueen title—it will be a book that matches the previous title’s skill level. Furthermore, the app is tied into a reward system that lets young bookworms earn stars and trophies as motivation to keep reading. To buy new titles, parents purchase tokens that their kids then use to buy the books. One Disney token costs US$3.99 and purchases one book. “We really think there’s magic in the idea of having parents be the gateway to purchase and kids having some agency to what they want to consume and how they want to consume it,” says Underkoffler. While Disney is crafting a new digital chapter, that’s not to say it’s left the world of print behind. If anything, eBooks are another format for getting kids to read across all media. A 2013 study from New York-based research firm Play Collective and Digital Book World looked at children’s eReading habits. In the study, 48% of parents say their kids have asked for physical versions of an eBook they own, and more than half of kids (54%) have asked for the eBook version of a favoured print book. Cognizant of this increased preference for both media, Disney’s CP division is continually on the hunt for different ways to connect the digital experience with the physical, not unlike the way Disney Interactive has seen such significant success with its hybrid digital/physical game system Infinity. The soon-to-be-released Frozen Hide-and-Hug Olaf: A Fun Family Experience is a good example. A printed book, toy and digital book bundle, it lets kids take Olaf on a hide-and-seek adventure similar to Elf on a Shelf. The Olaf package, set to hit stores at the end of October with an SRP of US$26.99, comes with a plush of the lovable snowman. The bundle lets DCP sell across platforms with one particular product, like an eBook, augmenting or extending the experience of another. In other words, this kind of packaging ensures digital or mobile doesn’t cannibalize physical product sales. On the digital side, the rise in tablet ownership and eReading is good news for the kids eBook business. 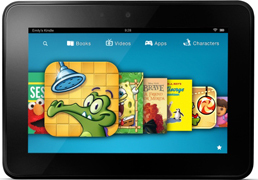 More tablets in the hands of the digital-first generation could see a boost in eBook sales. Already, the price of children’s eBooks is on the rise. According to the Play Collective/Digital Book World study, parents are increasingly seeing the value of digital content, and subsequently are willing to pay more for digital books. 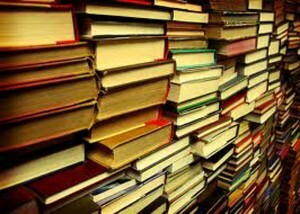 They were most comfortable with eBooks priced between US$3.50 and US$9.00 apiece, paying US$7.00 on average for a children’s eBook, a figure that’s gradually risen over the past year. As eReading popularity continues to climb among kids and parents, Disney is positioning Story Central to lead the pack. Going forward, Disney Publishing will continue to add new stories to the library on a monthly basis. The publishing giant will also look to bring Story Central to even smaller screens and other platforms. Ultimately, while the app comes with all the bells and whistles of a digital property, like customizable bookshelves and read-along guides, Underkoffler believes it’s the power of a good story that keeps tech-savvy kids interested.